Content curation is the process of organizing data from the web. Curators do to data what librarians do to books. They categorize, index and even recommend data to anyone who needs it. This includes data from news, websites, blogs and social media. So how does content curation work? The internet is currently suffering an information overload. Most of it are mediocre and low quality. It is the curator’s job to sift through the noise, find valuable data and share it to a target audience that will enjoy it. Consistency is the key to growing your audience. 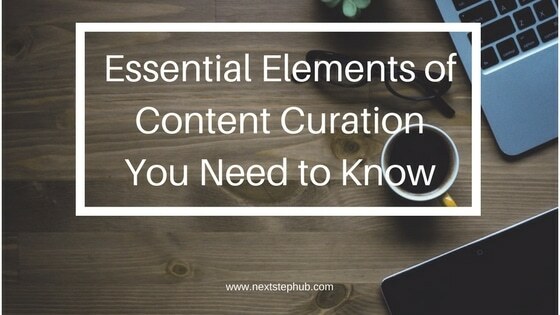 Content curation is a great strategy that helps in attracting new audiences. It helps you build relationships and establish expertise in your subject. According to The Marketing Squad, there are four distinct benefits of content creation. The shared content’s visibility can direct new audiences to your landing pages. It keeps your lead funnels fresh and also creates awareness about your brand. Reading content from reliable sources develops your thought process. It also gives you a peek into industry trends. This helps you create better content for your audiences and also gives you a feel of what to plan for next. Curated content usually has links and SEO scores that work well on the web. It may help you do better in search engine ranking algorithms. Like every marketing strategy, you must first get to know your audience first. You must understand what your audience needs and know where to find them. You also need to learn what kind of content attracts their attention and which types can produce better engagement with them. This helps you understand what kind of content they consume and where to get them from. Once you understand this data, it will be easier for you to find out where to get the content your audience will like. But marketers also say that it’s getting more difficult to find high-quality content that is relevant to their audience. Ross Hudgens of CMI shares three effective ways that will help improve your curation strategies. Learn how to be a trend finder and analyst so you could share content that your audience have never seen before. You can do this by using RSSS feeds and digging deep into 10-20% content locations like forums and websites like Hacker News and Product Hunt. It helps to tweak your shared content to make it stand out. Improve headlines, use SEO best practices to uncover better keywords and drive traffic to your pages. You can also share the content to larger platforms to help extend its reach. Content creators love it when their content gets read and shared. Make sure to link contents to their original source to also give them due credit for their work. Don’t post the whole content, but rather use excerpts and tag them. If it impresses the author, he might even share your content and create new opportunities for you. Feedly is a cloud-based news aggregator application that compiles news feeds from a variety of sources. It’s easy to use and keeps you up to date with all the latest blogs and news sites in the categories that you need. This is one of our favorite apps because of its ease of use. Creating an account is a breeze. All you have to do is link your Gmail or Facebook account to get started. Then you can categorize blogs and news sites according to your preference. Select from a range of blogs from DIYs, recipes, to the latest business news. Twitter Lists help you organize the accounts you follow according to their specialties. From here you can check out the latest news straight from its source. You can also get access to fresh content here if you do it right. Most of all, it doesn’t cost a dime. All you have to do is find out the key influencers in your industry, follow them and share their tweets. But don’t forget to tweak it a little to help you stand out from the thousands who would tweet the same thing. Newsletters like Quartz Daily Brief gives you a peek to the world’s most important news. It’s concise format helps you decide which ones to read more about and which ones to skips. It also loads phone fast so it makes for an easy read. Content curation also doesn’t have to take all day long. There are available tools to help automate and make the best of the stories, images and content. Pinterest– This might be the best and most underrated content curation tool. While most think of Pinterest as pegs for birthdays and weddings, most brands take advantage of its visual nature to share their content. Here you can post graphics and blog posts and create boards for everything you can think of. Buffer is a software app designed to manage accounts for social networks. It helps the user schedule content and posts. Buffer’s algorithm helps users find the best time to share content to further optimize its engagement. It can integrate with most social platforms, enabling its user to extend the content’s reach. Hootsuite is a platform for managing social media. It integrates with other social networks like Facebook, Twitter, Instagram, LinkedIn, and Google+. Its features also include a scheduling feature like Buffer. It shows your profile’s feeds so you get to engage with your audience at the same time. You don’t always have to create great content to provide added value to your audience. Sometimes all you need to do is find the right source and share it with them.